So the story goes, once upon a time there was a Wolfburn distillery based in Thurso, Caithness that was founded in 1821 by William Smith that time produced approximately 1,25,000 litres a year… yet ceased operations sometime in the 1850s. Though the old distillery is long gone, the folks who founded Wolfburn 2.0 in 2013 based it in a similar location to take advantage of the water from the Wolf Burn. Our host was captured by the quality and character of its new make spirit and has been a believer in the distillery ever since. Truth be told, we found it almost too sweet… for me it almost reminded me of being matured in a cognac cask like Brenne… The peat has a light touch… a mere 10 ppm. 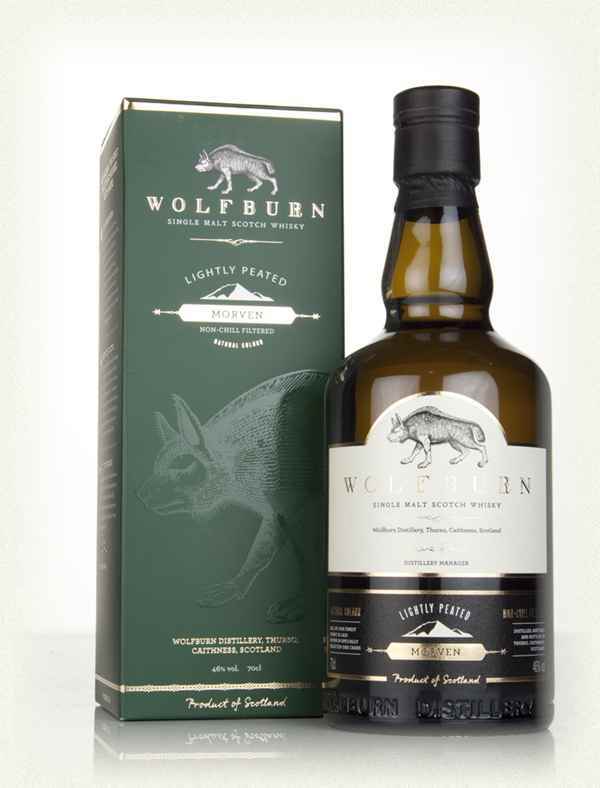 While there are no official tasting notes on the Wolfburn website, the chaps over at Master of Malt have something to say…. Palate – Sweet spice, could there be some light smoke too? Water – Again, no temptation to add…. This was much more our preferred style… still sweet but in moderation with enough other elements to hint at a character worth waiting to see its future avatars. And what do the folks at Wolfburn have to say? We had to wonder, where is the light peat from? Our host shared that while the malt is unpeated, it is matured in an ex-Islay cask for a “kiss of peat”… making for just a hint not more. 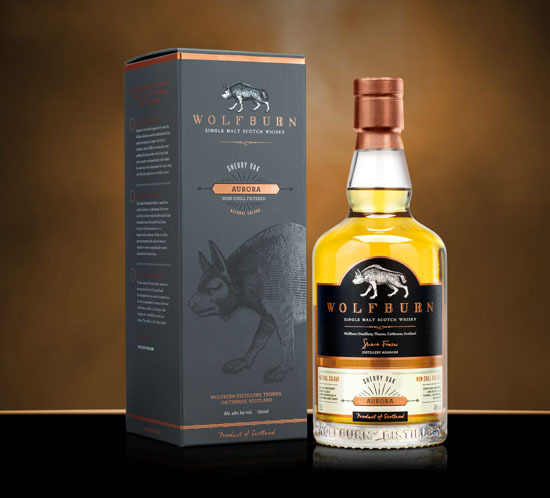 For those curious, Wolfburn is available in India… check out The Vault Fine Spirits or Mumbai airport duty free. What else did we try in our “Sinful Samples” evening? This entry was posted in Highland, Scotland and tagged Wolfburn, Wolfburn Aurora, Wolfburn Morven by Carissa Hickling. Bookmark the permalink.